"Beyond excited"... should I read into that? #108 Overall on 247 with 32 offers (Alabama, Texas, A&M, Clemson, ND, TCU, Auburn, UGA, UF, Michigan, Ohio St, Oklahoma, etc.). 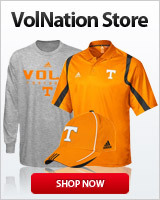 Would think Vols are a little late to the party. Pruitt Ain't Scared...sic Nieds on'em! They shouldn't have just missed on a kid of this caliber. More than likely the coaches got word that he has interest in us. Need translation. Is ‘21 kid a family member I assume? What does the ball cap mean? Y’all got anymore of them cornerbacks? I'm with you UTM. I'm not sure my kids could translate that. No cap means like no kidding. So he is basically saying this ain't a joke look out for the Vols. Thanks Orange. I finally thought to check the Urban Dictionary and it confirms your answer. "No cap basically mean that their not lying or capping like they did something. Sometimes ppl write it like this ♀ 🧢or 🧢 different ways"
The things I learn on VolNation. Young Kimber is alerting Volunteer fans that his fellow Borders is close like family, and that the staff will likely be impressed with him. Does Pruitt have a translator? Newt get a hold of you? Once eddrick lofton gets here, the TX pipeline will open up.